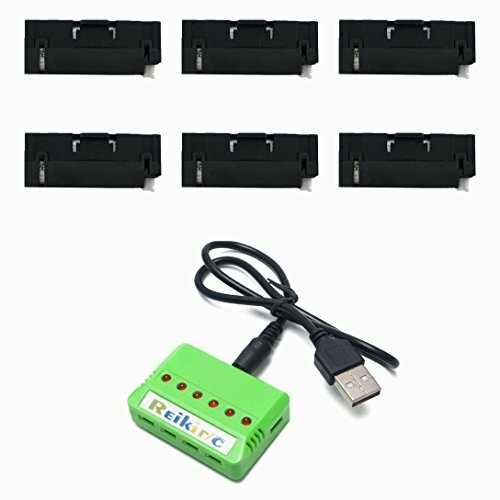 Package included 6pcs 400mAh batteries+1 to 6 charger . For JJRC H37 Mini GoolRC T37 Goolsky H37 Mini Rc Quadcopter Drone. Charging 6 battery at one time. More PUNCH and ROBUST performance due to its higher current output and power. High Capacity Battery: Our lipo batteries will bring you longer flying experience, which provide substantial backup power.